Chatuchak Weekend Market has reached a landmark status as a must-visit place for tourists. These alleyways are grouped into sections, with 27 sections in all. The market has more than 15,000 booths selling goods from every part of Thailand (plants, clothing, silk, hill-tribe outfits and even fluffy pets!). 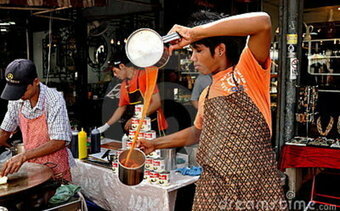 Must see: Check out the Teh Tarik ( literally "pulled tea") pouring stunts by the man selling it. It is wonderful feat to watch & delicious to drink. 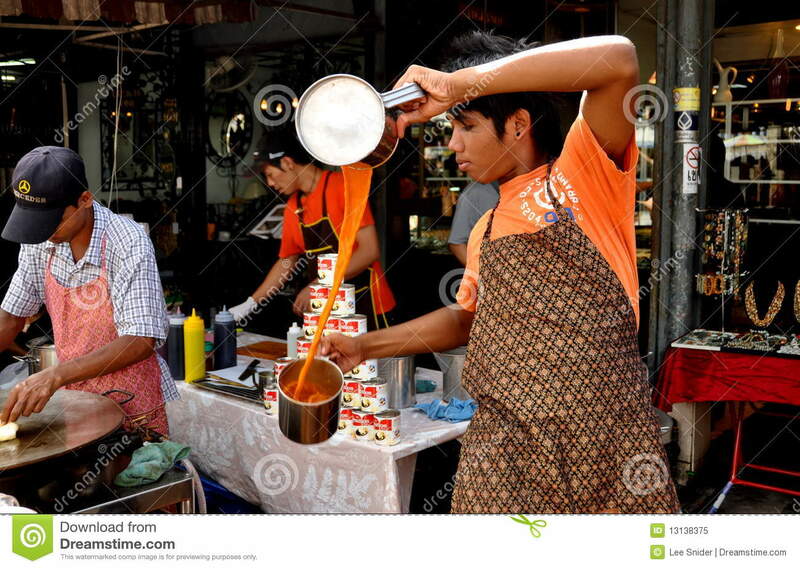 Teh tarik is a hot Indian milk tea beverage. Must eat: Coconut ice cream served in a coconut husk , complete with slices of coconut flesh, two toppings and complimentary cup of pure coconut water.